A comprehensive dental exam will be performed by your dentist and hygienist at your initial dental visit. The goal of our exam is to determine if you have any cavities, gum disease, bone loss, broken teeth or fillings, oral cancer, or any other problem that could negatively impact your oral, and overall, health. Once we gather this information, we can put together a customized plan for the best way to clean your teeth and address any concerns. Professional dental cleanings are usually performed by Dental Hygienists. There are different types of cleanings, your hygienist will recommend the type of cleaning that will most benefit your oral health status. Your cleaning appointment will also include removal of plaque and tartar from the teeth, as well as polishing and flossing. We often apply a fluoride varnish as well for kids and adults to protect the teeth from decay and reduce sensitivity. Fluoride treatments have proven to be a safe way to protect the teeth from developing cavities and to slow down the progression of existing cavities. Fluoride strengthens the enamel of the teeth, are easy and painless, typically involving painting a varnish on the teeth. 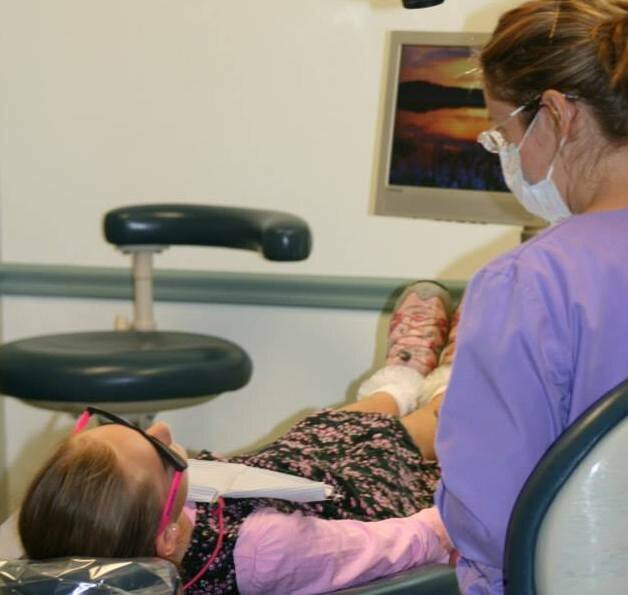 We use a laser instrument, called a DIAGNOdent, to help us identify cavities as soon as possible after they start. Identifying and treating cavities while they are still very small results in the easiest possible filling experience, and the most long-lasting filling. We have a handheld scope, a device that aids in the early detection of oral cancer. The earlier oral cancer is identified and treated, the better the long-term prognosis. Dental x-rays are essential diagnostic tools that provide valuable information about the health of the teeth and bone. Without x-rays, decay, infection, oral cancer, and other problems may go undetected. Finding and treating dental problems at an early stage can save you time, money, unnecessary discomfort, and your teeth! The digital x-rays we use minimize the amount of radiation exposure to a very safe level. We have a cutting edge x-ray unit that enables us to take 3D x-rays. These 3D pictures show us things not visible on the traditional 2D x-rays so we can recognize problems earlier and we can more precisely plan your tooth replacement options, among other benefits. A crown (also known as Caps) rebuilds, protects and strengthens a broken tooth, a cracked tooth, a heavily decayed tooth, a tooth with a very large filling, and/or a tooth with a root canal. A crown can be made of porcelain or gold, or a combination of the two. Dental restorations (also known as Fillings, Bonding), are used to rebuild broken, decayed, worn down, or otherwise damaged tooth structure or previous filling. The cost of a restoration (filling) is determined by a number of factors including the size & number of surfaces. The bonded resin filling material we use closely matches the tooth shade, so these restorations are almost invisible compared to the silver amalgam fillings used in the past. 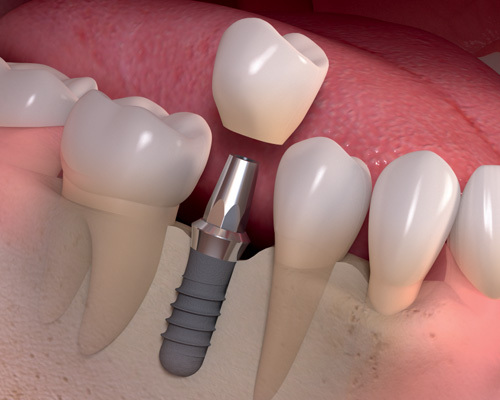 Implants are usually the best choice to replace missing teeth, as they look, work and feel most like a natural tooth. If properly maintained, implants can last a lifetime. Implants are titanium cylinders placed in the bone where the tooth root was, and they are restored with a crown. It usually takes 3-12 months for the procedure to be complete, as healing time is required following tooth extraction and the placement of the cylinder. Implants can also be used to anchor dentures, which tend to shift around when you chew and talk. Dentures are commonly used to replace some or all missing teeth. Dentures are removable and are designed to be worn during the day then removed at night. Complete dentures replace all the teeth; Partial dentures replace one or more missing teeth, and are held in place by clasps surrounding your natural teeth. Dentures are the least expensive way to replace lost teeth. A limitation patients often report with their dentures is shifting during talking or eating. Dental implants can be used to make dentures much more stable and retentive. A root canal procedure (also known as endodontic therapy) is necessary when the tooth’s pulp (nerve chamber) is infected or inflamed, and the goal is to save the tooth. 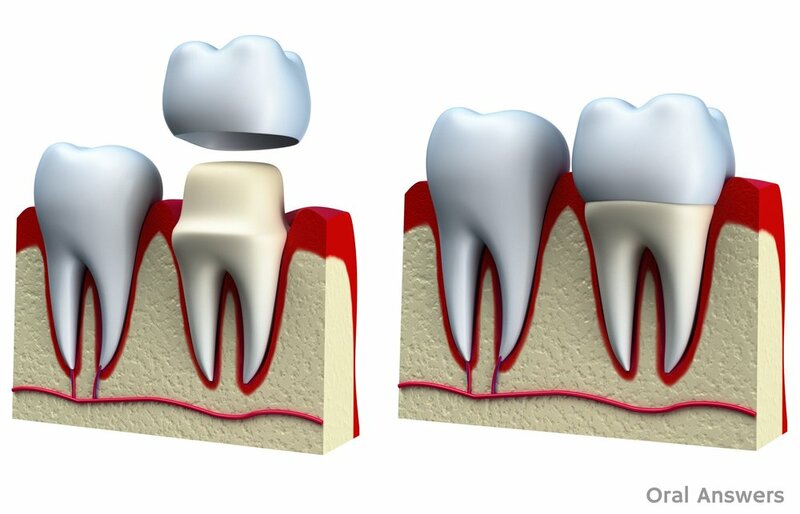 During a root canal procedure, the tooth is treated by cleaning out the infected pulp and medicating the tooth. Once the infection has been removed, the canals of the tooth are filled and sealed. Finally, the tooth is filled with composite resin, and a crown may be recommended if the tooth was heavily decayed or cracked. Root canal treatment can be performed with little to no discomfort. Periodontal disease, or gum disease, is an infection of the gums that leads to destruction of the bone that support the teeth. About half of American adults have periodontal disease, and many are unaware because it is often painless. Periodontal disease is the number one reason for tooth loss. Moreover, research suggests a link between periodontal disease and other systemic diseases such as stroke, bacterial pneumonia, diabetes, cardiovascular disease. Periodontal disease also increases the risk of pregnancy complications. Studies has shown that periodontal disease makes blood sugar more difficult to regulate in diabetic patients, and diabetes makes you far more susceptible to periodontal disease. Smoking also dramatically increases the risk of periodontal disease. Good oral hygiene, a balanced diet, and regular dental visits can help reduce your risk of developing periodontal disease. Signs and symptoms of periodontal disease often include bleeding gums, loose teeth, new spacing between the teeth, persistent bad breath, swollen gums, and gum tenderness. 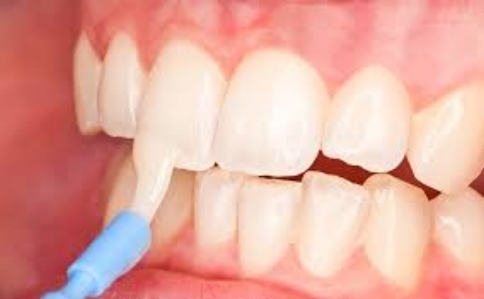 To stop the periodontal disease process, we often recommend a special type of cleaning called “scaling and root planing,” which is a deep cleaning to ensure all tartar above and below the gumline is removed, and the root surfaces are smooth and clean. In severe cases of periodontal disease, we may recommend you see a specialist, called a Periodontist, who could offer more extensive and often surgical ways to restore the gum and bone health.